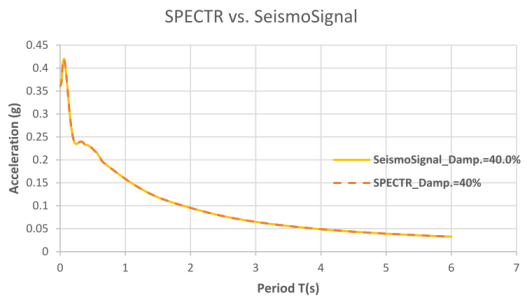 Seismic Response Spectra is an important concept in earthquake engineering, we often need to evaluate seismic response spectrum on the basis of a given time-acceleration record. SPECTR constitutes an easy way to evaluate Seismic Response Spectra, featuring a user-friendly visual interface. 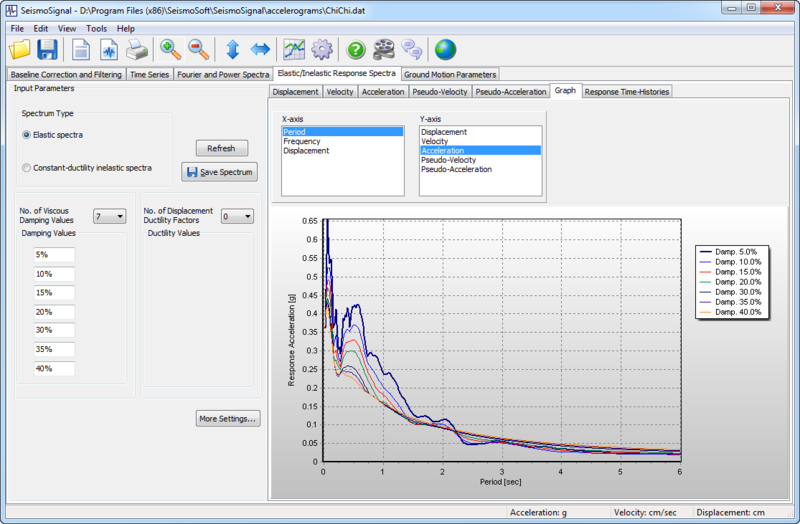 It is a helpful tool for engineers. 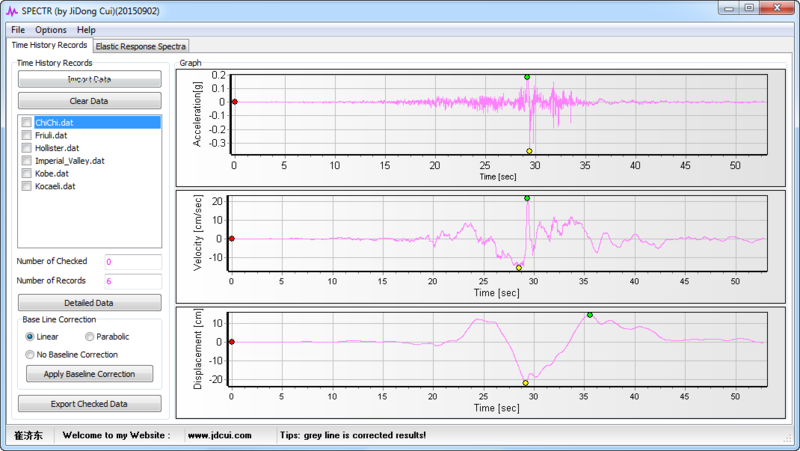 The overall steps are as follows. 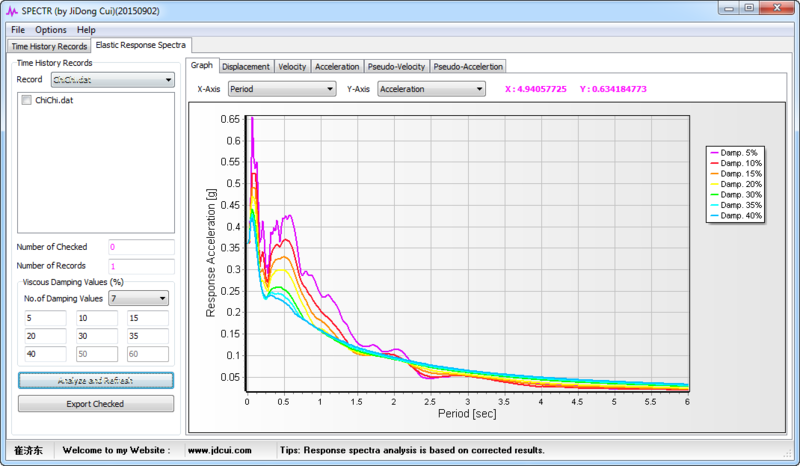 (1) Prepare accelerograms in text format. 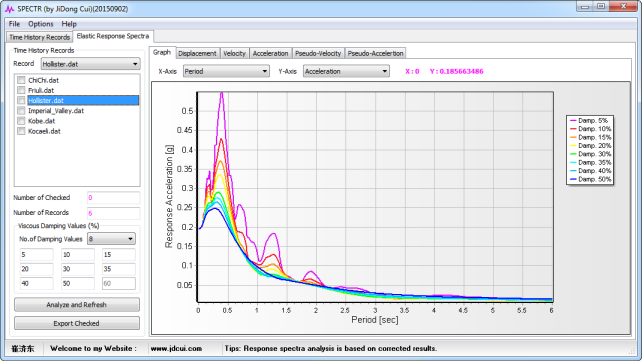 (3) SPECTR automatically integrates the accelerograms to generate the corresponding ground motion speed and displacement time history. You can apply baseline correction to accelerograms. 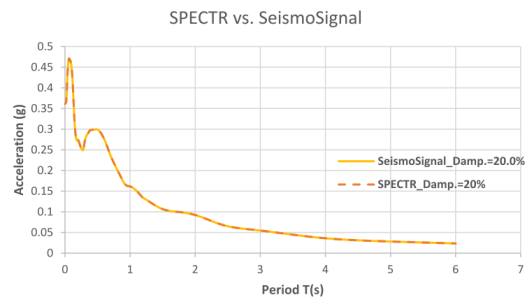 If the baseline correction is applied, the response spectra analysis is based on corrected accelerograms. 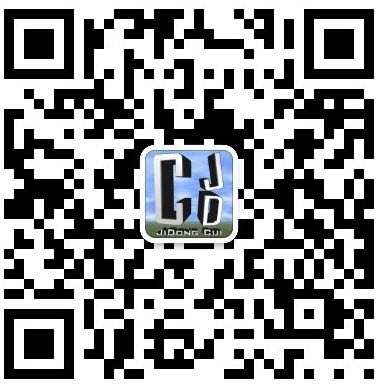 The Chi-Chi (Taiwan) earthquake of September 20, 1999. 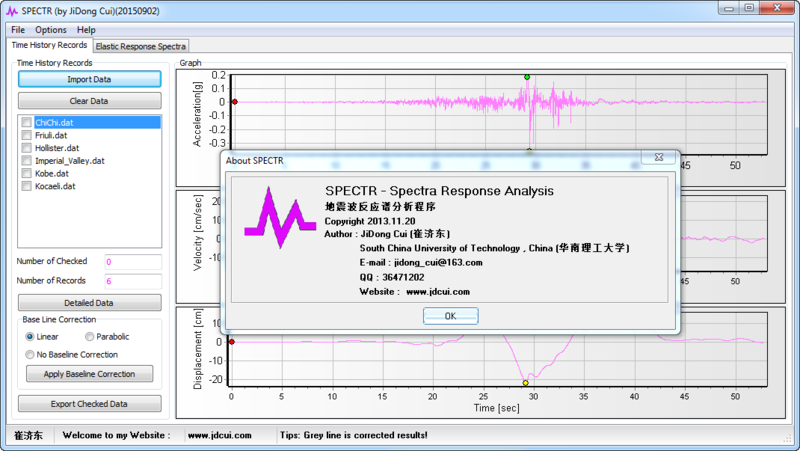 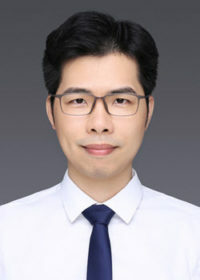 Cui JiDong, “SPECTR – A program for Response Spectra Analysis”, http://www.jdcui.com/?p=1875.